Feeling like the Princess and the Pea? Stop tossing and turning and get the sleep you need! Add this top-of-the-line luxury mattress enhancers with Hypodown® quality fill so you truly can be surrounded in comfort. Sewn in a baffled box design in a 300 thread count. You will be amazed at how refreshing one night on our Hypodown beds makes you feel. Sinking into an Ogallala Mattress Enhancer will help you cushion pressure points and make your dreams sweeter. Simply putting one of these boxed down enhancers with your mattress will mean better sleep and happier mornings. The mattress enhancers conform to your body, so your muscles relax, your circulation improves, you toss and turn less. This luxury mattress enhancer is made with Ogallala's Hypodown® 700 fill so you truly can be surrounded in comfort. It is sewn in a baffled box design in a 300 thread count. You will be amazed at how refreshing one night on our Hypodown beds makes you feel. 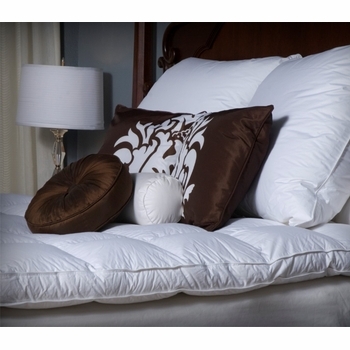 Hypodown 700 - premium down with 85% Goose Down Clusters and 15% small feathers. Baffled box design in a 300 thread count. Available in Twin (39"x75"), Full 54"x75", Queen 60"x80", King 76"x80", Cal King 72"x84"
Hypodown 700 - premium down with 85% Goose Down Clusters and 15% small feathers. 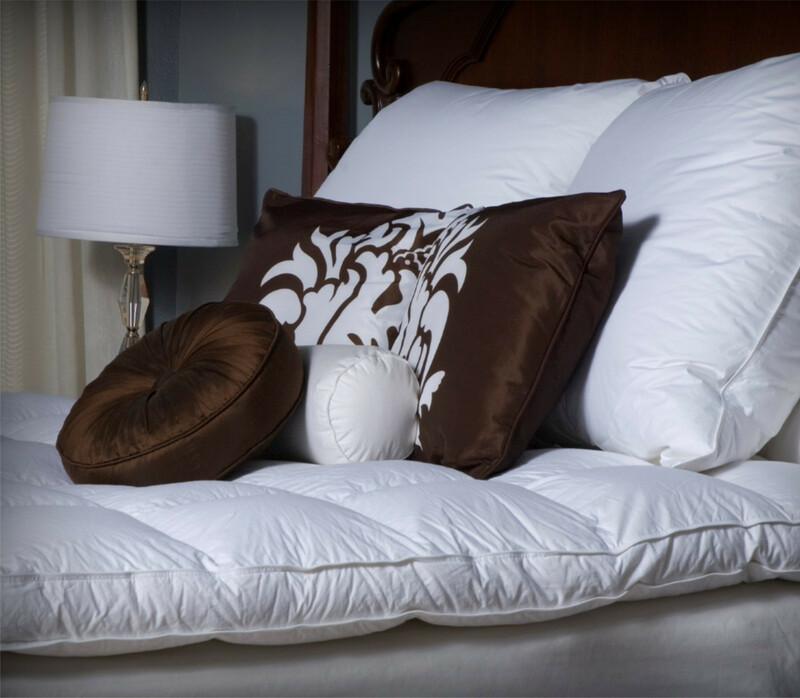 Everyone agrees that Hypodown assures a cozy night’s sleep in lightweight, billowy luxury. Hypodown is ingenious and creative, yet purely natural. It combines two of nature’s most unique fibers to give you a tranquil, restful night’s sleep. Our Hypodown blend is four parts white goose down and one part Syriaca clusters, a fiber from the milkweed plant. The two work hand in hand to give you the best of their natural abilities: warmth and comfort. The Ogallala company difference: This company is reknowned for searching the world over for the fluffiest, cleanest white goose down (fluffs). They grow their own Syriaca and collect the finest pods. Their processing team captures the largest Syriaca clusters (tufts) and transfers them to the patented Hypodown blender. Forced air whirls and twirls the fluffs and tufts..... creating Hypodown. The most comforting innovation in sleep.Whatever your preference, we’ve got the perfect pillow for you. Coining the term "Hypodown" we promise Hypodown is actually better than down alone. It increases fill power, is hypoallergenic and transfers moisture away from the body better. Over twenty years later, Ogallala is known throughout the industry for the finest down products available. Try the Ogallala difference. All pillows ship directly from the Ogallala.